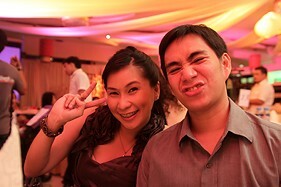 Last Sunday, Nov. 28, I attended the wedding of my good friend and 'thesis-mate', Allan Tan. 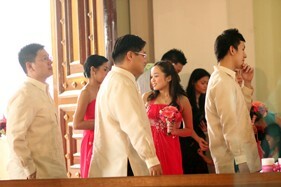 The wedding ceremony was held at the Shrine of Jesus, The Way, The Truth, and The Life, a catholic church beside SM Mall of Asia. 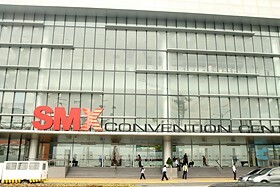 SM Mall of Asia is the biggest mall in the Philippines. Third in the world according to Forbes.com. 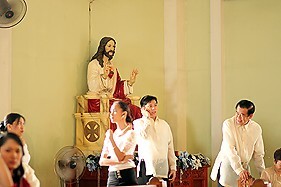 In the Philippines, a predominantly catholic nation, the groom and the groom's men wear 'Barong', the national costume but sometimes, suits or tuxedos are also worn depending on their preference. 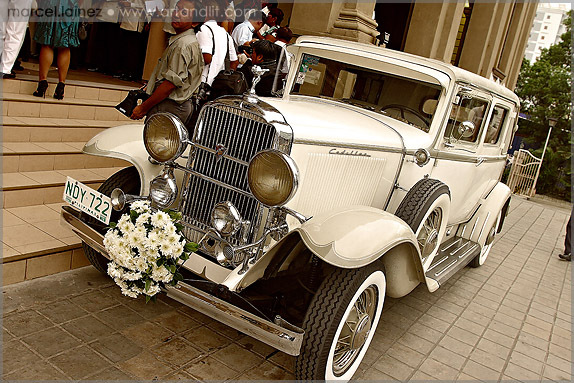 Here comes the bride all dressed in white. 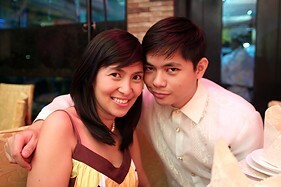 Filipino weddings are also steeped in tradition. 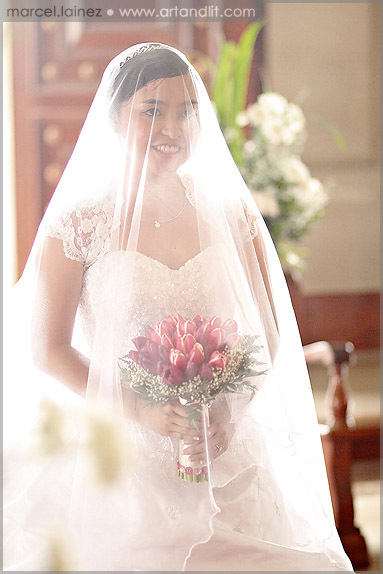 If the African-Americans have the broom hop and the Jews have the glass breaking, Filipinos have the cord, candle, and veil ceremonies. I wonder how 'weddings' started as a ceremony for exchanging vows. How did our ancestors marry? 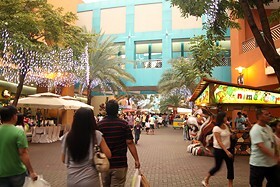 Outdoor area of SM Mall of Asia. 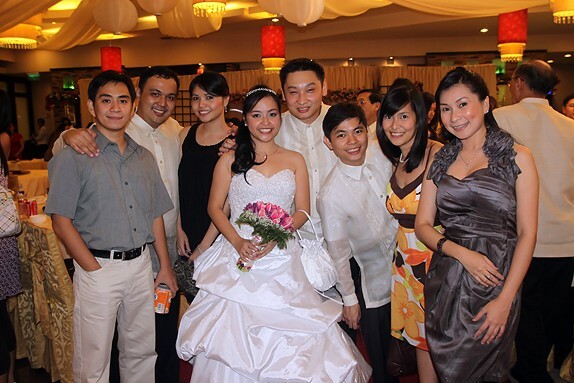 After the church ceremony, my friends and I still had time for chit chat over coffee since the wedding reception was going to start at 6:00pm. So we headed to Gloria Jeans Cafe. Lastly, I found this beautiful lady alone, seems to be waiting for somebody. So I mustered all my courage and came up to her. Marcel Yup. 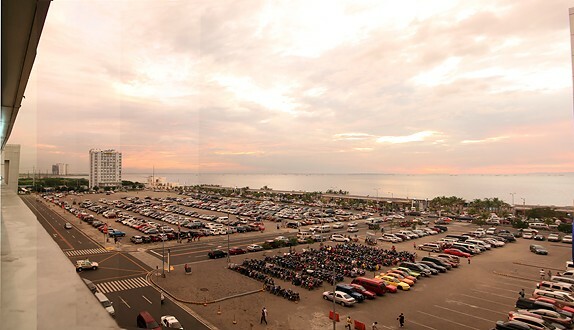 Pero sa shot na yun yung 20mm 1.8 gamit ko. me Loko-loko ka Marcel! Tanggalin mo nga yang picture ko! Melissa Gorgeous shot of Joan! Wow! Marcel Too late. May nagcomment na eh. I can't remove it anymore. Thanks Melissa! She's the only one who doesn't like that picture! Everyone else does. Marcel Hehehe. Thanks Johanna! 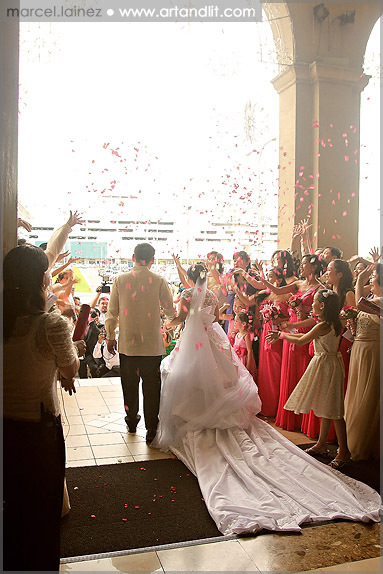 Mas maganda sana sa harap yung petals kaya lang overcrowded na eh.